A relentless fighter for working families and children, Wayne Fontana was first elected to the Pennsylvania Senate on May 17, 2005 in a special election. He was re-elected to represent the 42nd Senatorial District in 2006, 2010 and 2014. 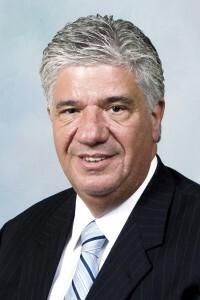 Senator Fontana currently serves in the leadership position of Senate Democratic Caucus Chairman, a role that empowers him to set the daily caucus agenda and lead the discussion on bills that are under consideration on the Senate floor. In addition to his leadership role, he serves as Democratic Chair of the Senate Urban Affairs & Housing Committee. He is also a member of the Communications & Technology, Community, Economic & Recreational Development, Law & Justice, Policy and Rules & Executive Nominations committees. Senator Fontana is also a member of the Senate Committee on Ethics and Official Conduct. In addition, the Senator serves on the Legislative Arts Caucus, Community College Caucus, Early Childhood Education Caucus, Manufacturing Caucus, and Public Television Caucus. At the state level, Wayne is an appointed board member of the Pennsylvania Higher Education Assistance Agency (PHEAA) and serves as the board’s Vice Chairman. He serves as an appointed member of the Small Business Advocacy Council, the Joint State Government Task Force on Real Property Law and the Joint State Government Task Force and Advisory Committee to Study the Current System for Providing Services to Indigent Criminal Defendants. In the Pittsburgh region, Wayne is chairman of the Sports & Exhibition Authority Board and a member of the Redevelopment Authority of Allegheny County and the Pittsburgh Hispanic Development Corporation Executive Committee. In addition to 19 suburban communities, his district includes 20 wards within the City of Pittsburgh, including a vibrant downtown, North Shore, and Strip District destinations. Great city neighborhoods in all directions from north to south and east to west comprise the district. As a senator, Wayne has championed causes aimed at helping abused and underprivileged children and families. His hallmark legislation was a law that toughened child abuse reporting requirements for school personnel. He also authored legislation that established a 19-member task force to examine the educational problems facing homeless children; helped expand the CHIP program that provides health insurance for children; and helped launch a website to assist people working with child abuse victims, both caregivers and advocates. He is also prime sponsor of legislation that would establish full-day kindergarten programs within every public school district in Pennsylvania. Senator Fontana has also fought to bring new jobs and revitalization to many of the struggling industrial communities he represents. To that end, he has co-sponsored a legislative package that would invest in statewide job creation and economic development incentives – without raising taxes. Prior to his election to the Senate, Wayne served as an inaugural member of Allegheny County Council, representing the 12th District. He served as the council’s vice president January of 2004 through March 2005. During his tenure at council, Wayne served as chairman of the Property Assessment Committee, the Economic Development Committee, the Executive Committee, and the Budget & Finance Committee. During his tenure, Wayne was responsible for authoring the County’s Homestead Exemption Program and secured passage of legislation that reduced Allegheny County’s millage tax rate. A former member of Boilermakers Local 154 and Teamsters Locals 249 and 211, Wayne has deep roots in the community. He previously served as Vice Chair of the Allegheny County Democratic Committee and prior to that as a 19th Ward Committee Person. He also takes an active role in the community as a member of the Realtors Association of Metropolitan Pittsburgh, the Italian Sons & Daughters of America and the Lion’s Club. By profession, Wayne is a real estate sales associate and broker. Prior to his election to the Senate, he worked for Howard Hanna Real Estate Services as a Sales Manager and Associate Broker. In 2004, he was the recipient of the Distinguished Service Award by the Realtors Association of Metropolitan Pittsburgh (RAMP). Wayne holds an Associate’s Degree in Business from the Community College of Allegheny County and also participates in continuing education for real estate licensing and bi-yearly education requirements to retain his broker’s license. Wayne was born and raised in the Beechview section of the City of Pittsburgh. He and his wife reside in the Brookline section of Pittsburgh. They have three children and five grandchildren.